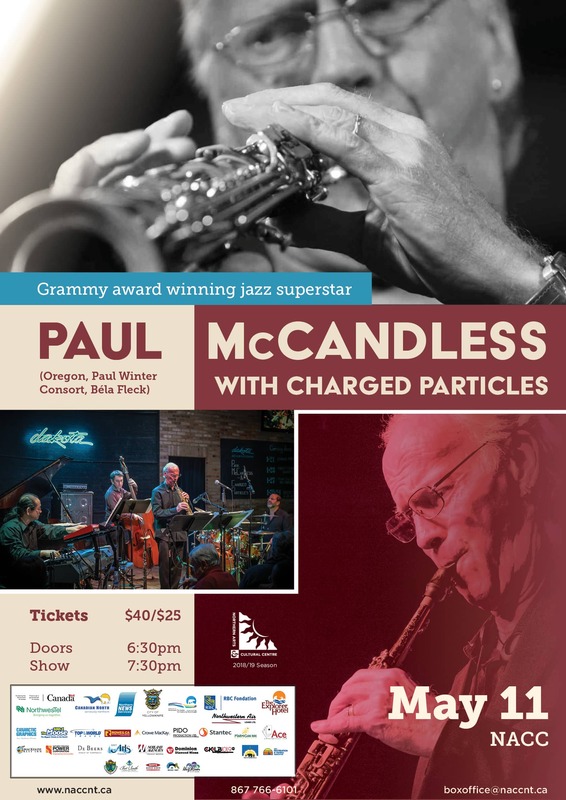 Grammy award winner and world renowned-jazz superstar Paul McCandless and the Bay-Area jazz trio Charged Particles will be playing compositions from McCandless’s solo records with a fresh twist and new energy. Known for soaring lyricism and gorgeous compositions, McCandless plays soprano, tenor, and sopranino saxophones, oboes, English horn, bass clarinet, penny whistles, and a collection of folk flutes. As a leader, he has released 30 records. The trio’s repertoire blends jazz with elements of Latin music, funk, fusion, classical music, romantic ballads, purely improvised adventures, and original McCandless styles that have no names. The group’s original compositions are mixtures of complex orchestration and elaborate improvised solos. The band brings a similar approach to playing arrangements of tunes by other jazz artists and traditional jazz standards by the composers of America’s most popular songs from decades ago, each played with a new twist. The band’s performance will feature four musicians as they explore the musical mind of one of today’s living geniuses. The trio’s music has a distinctly acoustic sensibility, despite the members playing both electric and acoustic instruments. The group’s small size allows for sensitivity and spontaneity among the players, making each performance an enchanting improvisational exploration. The band’s energy level is always high, even when they are cooking at a volume no louder than a whisper or floating through the melody of a romantic ballad. Each piece they play brims with the fun the players have together and with the admiration they have for each other.